Could Fish Oil Fatty Acids Raise a Woman's Risk for Diabetes? Which Type of Exercise Lower Your Diabetes Risk? FRIDAY, Sept. 16, 2016 (HealthDay News) -- Women who consume high amounts of meat, fish, eggs and other common foods rich in several different types of fatty acids may end up facing a greater risk for type 2 diabetes, a large and long-term French study suggests. The finding is sure to complicate traditional dietary thinking, given the highly touted health benefits often associated with this group of essential nutrients, which includes the omega-3 polyunsaturated acids typically found in fish. 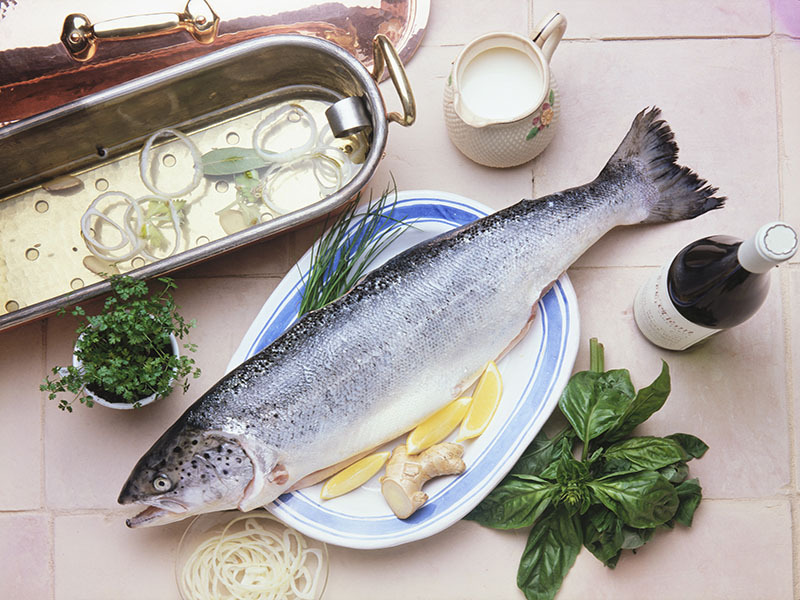 "The principal sources of the harmful fatty acids in our study were meat and fish/seafood," said study authors Guy Fagherazzi and Courtney Dow, both epidemiologists with the Center for Research in Epidemiology and Population Health at INSERM in Villejuif, France. The researchers said they believe that people could definitely cut back on their consumption of meat, because many people consume meat in quantities well beyond their nutritional requirements. "However, we would not go so far as to say that fish is no longer a healthy and safe option," the study authors said. "Other studies are needed, and it was only in the group with the highest consumption of these fatty acids that we observed an association." For the study, the researchers tracked more than 71,000 non-diabetic women between 1993 and 2011.
and alpha-linolenic acid (ALA), also an omega-3 fatty acid found in flaxseed, canola oil, walnuts, and certain types of eggs. The top third of fatty acid consumers took in an average of more than 1.6 grams of fatty acids per day (including all types). The bottom third consumed fewer than 1.3 grams per day. Women in the highest total consumption group were found to have a 26 percent greater risk for developing type 2 diabetes than those in the bottom group. Overweight women (with a body mass index over 25) in the highest consumption group saw their diabetes risk go up by 19 percent, compared with those in the lowest consumption group. By contrast, normal-weight women (body mass index under 25) saw their relative risk go up 38 percent, the findings showed. But some fatty acids were associated with a much greater increase in diabetes risk than others, the investigators found. DPA, for example, was linked with a 45 percent jump among normal-weight women and a 54 percent jump for overweight women in the highest consumption group, compared to those in the lowest. In the highest consumption group, AA was associated with a 50 percent increased risk for normal-weight women and a 74 percent increased risk for the overweight, compared with the lowest consumers. By contrast, ALA was not linked to any increase in diabetes risk among normal-weight women. And among overweight women, ALA was linked to a relative increase of just 17 percent among the highest consumption group. The researchers noted that meat was the largest source of both DPA and AA, making up 31 percent and 43 percent of the food intake for each respective fatty acid. Still, Fagherazzi and Dow cautioned that their investigation showed an association, not a cause-and-effect relationship. They also said "it remains unclear" whether the same risk association might be seen among men as well. And they noted that because their studies focused exclusively on food intake, they could not comment on whether fatty acid supplementation (such as fish oil supplements) might also be linked to similar elevations in diabetes risk. One nutritionist described the findings as "somewhat surprising." "Particularly the association with omega-3s and increased risk," said Lona Sandon, program director in the department of clinical nutrition at the University of Texas Southwestern Medical Center at Dallas. "This I would not expect." Sandon said that there "are a lot of unknowns here," adding that she "would not throw my walnuts and tuna out just yet," until more research can be done. "There is oodles of evidence for why those things are good for us," Sandon said. "But if I were a big meat eater, I would cut back." Fagherazzi and Dow were scheduled to present their research this week at a meeting of the European Association for the Study of Diabetes in Munich, Germany. The findings should be viewed as preliminary until published in a peer-reviewed journal.